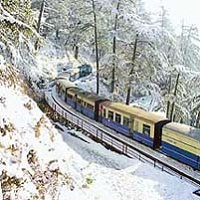 In India, rail is the most preferred medium of travelling for a large number of travelers. As many people choose it as a medium, it is hard to get reservation and the process is very tiresome. One has to stand in long queues to get the tickets. But with our Railway Ticketing Services, forget about these trivial issues and focus on the amazing rail journey you would get to experience. We make sure that we book the tickets as per your scheduled time. Based in Calangute (Goa), we render these services at reasonable rates. Contact us for further information.